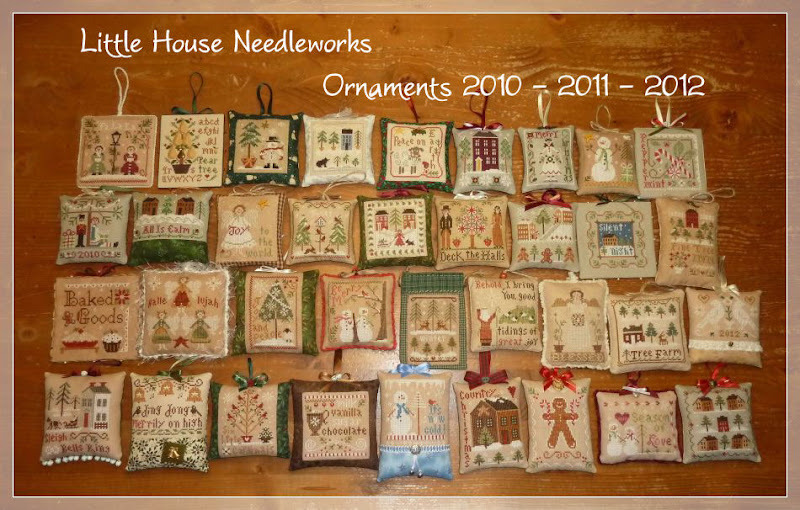 Fallen in love with LHN and CCN patterns: All 36 ornaments stitched! I stitched all of them and now I can hang 36 ornaments each year in my christmas tree. I realy enjoyed stitching this series !! 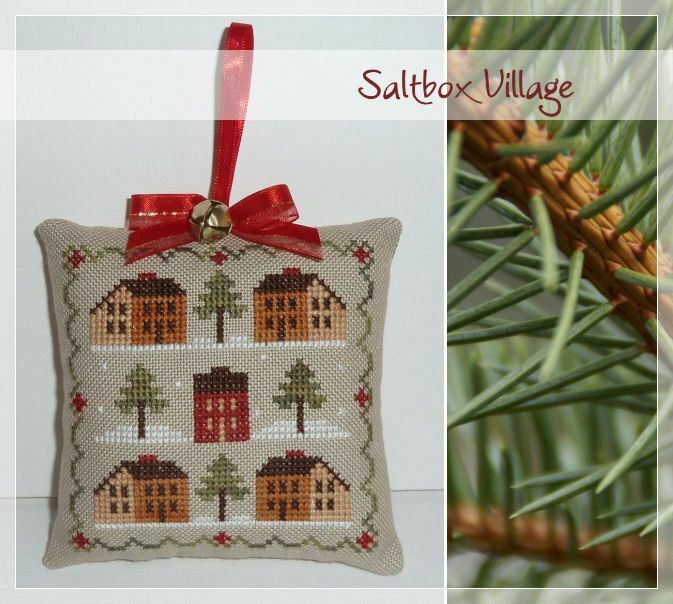 I love the saltbox village ornament. I am a little behind. I have just finished #1 in the 2011 series. I have all of them in my stash. Yes Saltbox was another great one. I realy love them all, they are all my favorite !! Congratulations, Carin. Your tree is going to be beautiful!!! Impressive! Your finishes are lovely! oh they are so pretty ! Another gorgeous finish Carin. LOVE the picture of them all together so stunning. It is so beautiful, I love it very much! What a gorgeous ornament series you have! Congratulations for your stitching.